Expedia Erwitte vacation packages can help you save cash! Combining your reservations will give you more spending money for your upcoming adventure. Savings of as much as C$590* are waiting for savvy vacationers who secure a package deal on Expedia. With more than 400 partner airlines and 321,000 properties worldwide for you to choose from on our international database, you'll be jetting off on your next vacation in no time! You can postpone your travel bookings with us because we do not charge cancellation fees for almost all of our reservations. About to head off on your Erwitte vacation? Don't know what to put on your travel program? Don't stress — we'll give you a few of our top tips. Venturing out on the green is a great way to stretch your legs and have a ball. Challenge yourself with a friendly round at Lippstadt Golf Club. There's an excellent range of things to do in and around this destination. Would you like to add some greater meaning to your vacation? Make a pilgrimage to St. Mary's Church. No matter your spiritual beliefs, it's an excellent place to observe and find out about the local faith. Still got time to spare? Theater can challenge our thinking and asks us to aspire to bigger and better things. Catch a show at City Theater and open your mind to some big ideas. 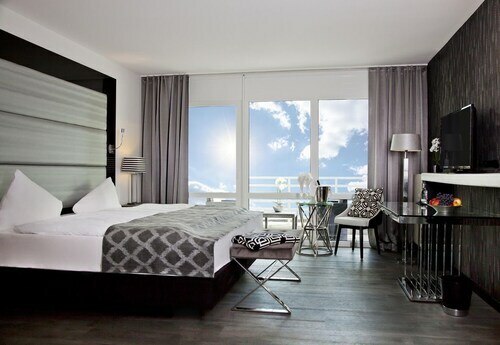 Searching for a place to stay for your luxury getaway or cheap vacation in Erwitte? It's sensible to act quickly, as there are only 3 Expedia accommodations available. If you don't want to trawl the net for hours for somewhere to stay, why not check out the ones on our list? The Quality Hotel Lippstadt and Best Western Hotel Lippstadt are some of the most talked-about properties here. Working out the logistics of your trip to Erwitte? Wondering where you'll be flying into? Dortmund Airport (DTM) is a convenient option. Once you've disembarked and stepped out of the arrival gate, you'll be 30 miles (48 km) from all the downtown action. 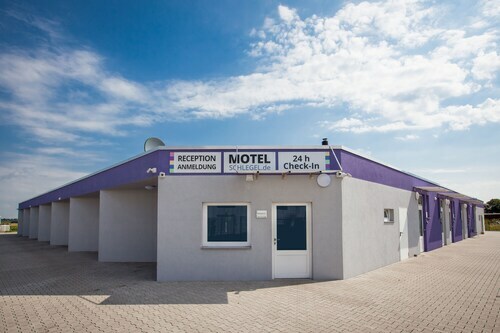 Situated in a rural location, this hotel is 0.3 mi (0.5 km) from Hellweg-Sole-Thermen and 7.2 mi (11.5 km) from Alberssee Beach. St. Patroclus Cathedral is 12.6 mi (20.3 km) away. Situated in Erwitte, this spa hotel is 0.2 mi (0.3 km) from Hellweg-Sole-Thermen and within 9 mi (15 km) of Standesamt Lippstadt and City Theater. St. Mary's Church and Alberssee Beach are also within 9 mi (15 km). Situated in Erwitte, this motel is 0.8 mi (1.3 km) from Hellweg-Sole-Thermen and within 6 mi (10 km) of Standesamt Lippstadt and City Theater. St. Mary's Church and Alberssee Beach are also within 9 mi (15 km). 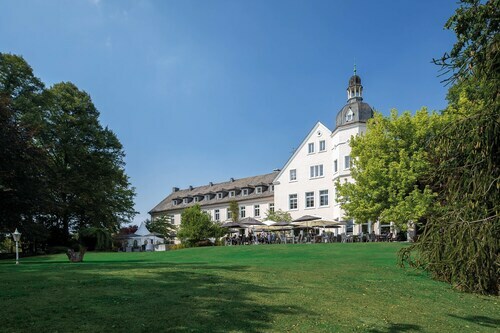 Situated on a lake, this luxury hotel is within 12 mi (20 km) of Erzbergbaumuseum and Besucherbergwerk Ramsbeck, Hennetalsperre, and Bilsteinhoehle. DampfLandLeute - Museum Eslohe and Pfarrkirche St. Peter und Paul are also within 12 mi (20 km). Meschede Station is 26 minutes by foot. Situated in Soest, this hotel is within a 10-minute walk of Kattenturm and Burghof Museum. St. Patroclus Cathedral and City Hall are also within 15 minutes. Soest Station is 19 minutes by foot. Situated in Moehnesee, this hotel is 0.1 mi (0.1 km) from Arnsberg Forest Nature Park and 1.7 mi (2.7 km) from Bismarck Tower. Möhnesee Tower and AquaFun Soest are also within 9 mi (15 km). Situated in Guetersloh, this hotel is within 1 mi (2 km) of Stadtmuseum Guetersloh, Guetersloh Botanical Garden, and Miele-Museum. Westfaelisches Kleinbahn- und Dampflokmuseum is 2.5 mi (4 km) away. Gütersloh Central Station and Guetersloh Station are within a 5-minute walk. 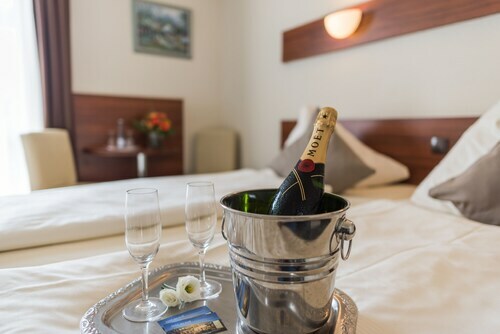 This family-friendly Arnsberg hotel is located in the mountains, within 3 mi (5 km) of Arnsberg Forest Nature Park and Freizeitbad Nass Water Park. Wildwald Vosswinkel and Sauerland-Museum are also within 9 mi (15 km). Arnsberg Neheim Huesten Station is 29 minutes by foot. Wed., 11 Sep. - Tue., 8 Oct.